Our goal at Elegant Dentistry in Marina Del Rey is to make all our patients feel right at home! We have an dedicated team that works together to make sure your dental experience is the best that it can be. We put your needs first and make every effort to achieve an efficient and a comprehensive dental treatment. Our Marina Del Rey dental office staff has years of experience in treating patients with the highest level of care and respect. There are dentists who can help keep your teeth clean, and then there are dentists who can transform your smile and add to your life. When you visit with Dr. Marjaneh Moghimi, you’re getting a fully comprehensive team of specialists who are able to effectively care for all of your dental health needs. Dr. Samantha Besser will transform your self esteem. Dr. Marjaneh Moghimi completed coursework and received her DDS degree from USC Dental School in 2000. She later also pursued and obtained her Dental Implant Residency from UCLA. Before establishing her general and cosmetic dental practice in Marina Del Rey, Dr. Moghimi worked with some of the most renowned dentists in the greater Los Angeles area. Working with seasoned specialist empowered Dr. Moghimi with sound training and tested experience in general, pediatric and cosmetic dentistry. 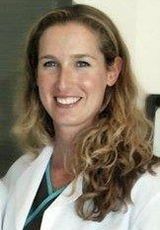 Dr. Besser attended Tufts University School of Dental Medicine in Boston, MA where she successfully earned her DMD degree. 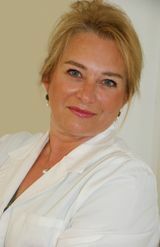 Upon earning her degree, Dr. Besser served her country in the U.S. Air Force as a Dental Officer. After the U.S. Air Force assignment was completed. Dr. Besser went into private practice as a general dentist before realizing she had a profound love of endodontic procedures. After a year of practice, she decided to return to school. Dr. Besser entered the prestigious and highly competitive Endodontic Program at USC School of Dentistry. After two years of extensive training, she earned her Endodontic certification and became a Board Eligible Endodontist. Dr. Kyle Sung studied at the University of Michigan to become a doctor of dental surgery, and Columbia University to specialize in periodontics. He also achieved his Master in Science at Columbia University and Bachelor of Science in Biochemistry at UCLA. He is an active member of the AAP (American Academy of Periodontology), the ADA (American Dental Association) and the CDA (California Dental Association).